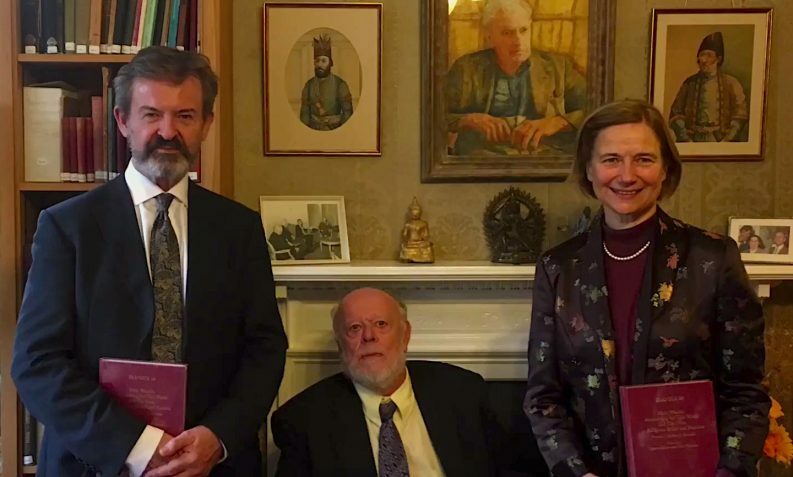 The Ancient and India Iran Trust was recently privileged to hold the launch and presentation of a festschrift to John Hinnells, formerly Professor of Comparative Religion at Manchester University and SOAS, to celebrate his seventy-fifth birthday. 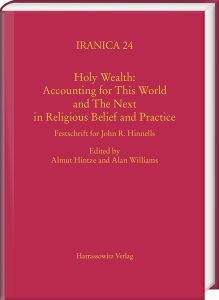 The volume focuses on the interface between material and spiritual wealth, a theme that runs across many religions and cultures and that incorporates a major strand of John R. Hinnells particular fascination with the Zoroastrians of ancient and modern times, and his more general interest in the positive and life-affirming aspects of religious traditions across many domains. 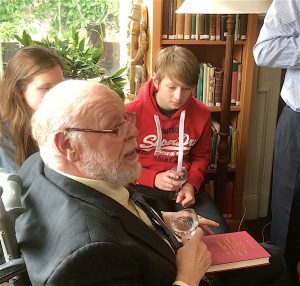 A copy of John Hinnells Festschrift is available to view in the trust’s library; shelfmark AIIT.a.1881.